One of the quickest ways to teach your children about financial responsibility is to teach them the famed rule of 72. Both parents and kids should learn this little rule of saving and investment. Children learn best when their parents are good examples of planning for the future and putting their money to work. Making kids financially responsible is one of the ultimate goals of the best parents. Apart from simpler budgeting techniques involving teaching your child the difference between wants and needs, they should learn how money can be saved and invested for the future. Before trying to teach this rule, you need to make sure you understand it yourself. The rule of 72 is one of the fundamental principles of investment. First of all, to understand the rule, we must know where it originates. Apparently, it was first mentioned by a Venetian man by the name of Luca Pacioli in his work Summa de arithmentica, published in 1494. There, Pacioli says that people who invest a certain amount of capital must keep in mind the number 72. It’s the number by which they can deduce the number of years it will take for their money to double. So, the rule of 72 means that if you invest a certain amount of money at a certain, fixed interest rate, you can divide 72 by that number. That will give the number of years it will take for the initial sum invested (the capital) to double. That is, provided that it is an annual interest rate, and that interest rate is fixed. As an example, let’s presume that one invests $3,000 at a fixed annual interest rate of 12 percent. By dividing 72 by 12, we get 6. That means that in six years, our money will have grown to double its initial amount. Therefore, in six years, we’ll have $6,000. Why? Because each year, the sum we have invested grows by 12 percent. This 12 percent is calculated retroactively – every year, a new 12 percent is calculated based on that year’s deposited dollar amount. This means that in 12 years, if the interest rate stays the same, we can reach the generous sum of $12,000. In 18 years, it’s $24,000. Every six years, if the interest rate is 12, the rule of 72 tells us that our money will double. Fast forward to 36 years after the initial investment. You’ll find we now have the mind-boggling sum of $196,000. And that’s all from a meager investment of $3,000. But how do we teach this to our kids? And the most important question: Why? You, as a parent, may not think the rule of 72 is that important. However, some of you may understand its power. As part of your kids’ financial education lesson, there will come a time when things should and will get a little more complicated than establishing a simple savings account. Young children may be happy putting aside a little each week for a desired toy. But older children should understand how powerful investing can be. 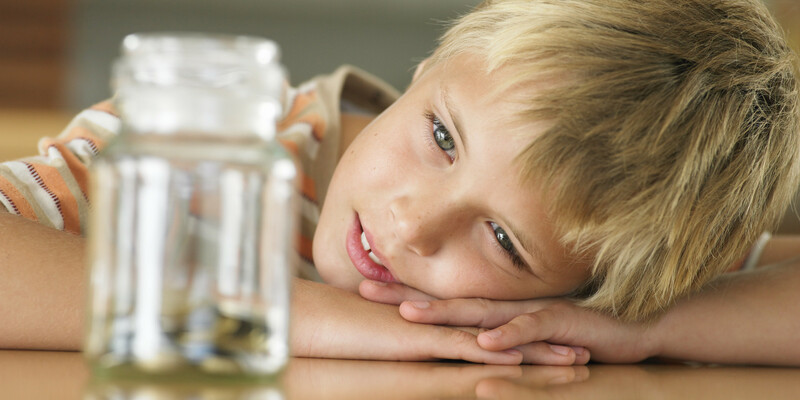 One of the most important things in your kid’s financial education is teaching him or her not to fear money. Money can be bad, and money can be good. Teach your kids that it all depends on how they choose to use it. The first major step towards this is not making a big deal about money around the child. Yes, kids needs to understand that money is important, but if you start worrying about in in front of your child, the kid may understand that his family is struggling, and may become hateful of money in general. Needless to say, this isn’t a constructive mentality. The best way to ensure your kids understands the positive aspects of money and investments is to teach him to invest himself. And the sooner he or she learns, the more they’ll benefit. To help teach the power of investment, give your kid $100. This is an example, and easy to calculate. Tell your kid that he is not allowed to use that money, no matter what. If you don’t trust your kid, check up on the money from time to time. Or lock it in a box, or a piggy bank. This should be done when your kid is still young, but old enough to understand. Then, together with your child, ask him how much he thinks he can earn in a week from leftover change or from doing chores. Let’s assume that he says he can earn $12. It’s a good start. That means that, for his $100 he will have a weekly fixed interest rate of 12 percent. Simple. Now, add $12 in the first week. Do this together. It should be a shared experience, and is bound to improve family relations. Immediately after this, tell your child that you need to figure out how much you will add the next week, so that in six weeks he will have $200. If he’s too young to know how to calculate a percentage try to teach him. Calculate it yourself for a few weeks, but let him watch. Twelve percent of $112 dollars is $13.44. So, for the second week, you need to add $13.44. And so on and so forth. By the time your child reaches the age of 13 or 14 years, you both need to start planning for college. Your child should gain some financial expertise of their own to plan ahead. Using the previous method, motivate your son or daughter to start earning money to put away for college extras. Set a goal together, perhaps by the age of 18, they should have $1,000 saved. If the kid manages to earn that sum, than go together and invest it. Explain that if the interest rate is, for example, 12 percent, he will have more than enough money safely deposited by the time he or she reaches 40 years of age. 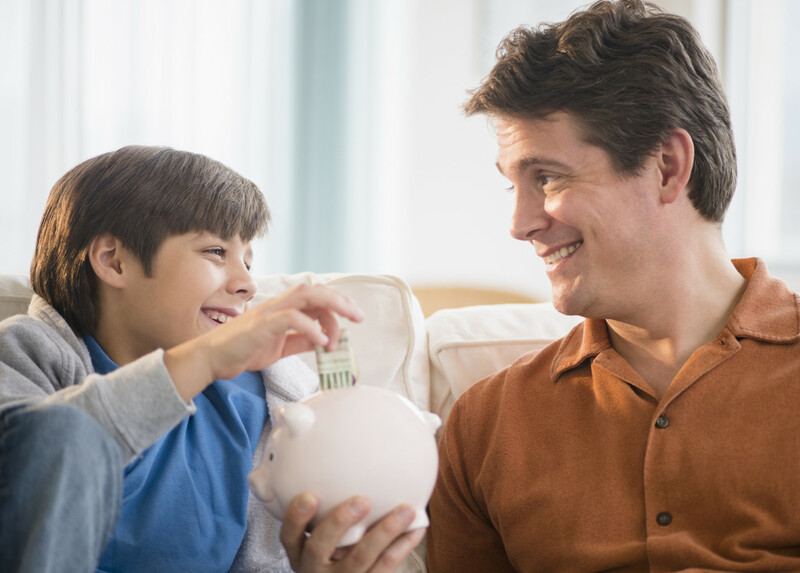 These are two of great, foolproof ways to teach your kid about financial responsibility and how money invested for the future can grow so quickly. By the time you finish these lessons, you’ll might end up with a financial advisor in the family. Everyone should be a bit savvy about their finances. Some people work for their money, but it makes more sense to let your money work for you.